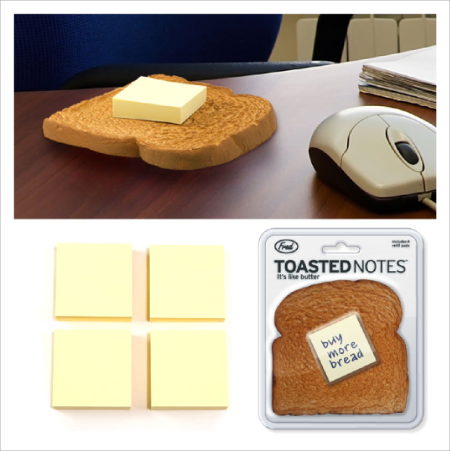 The hot buttered desk accessory! comes with 5 handy pads in each peggableclamshell. double-walled glass and individually gift boxed. Do you take your morning brew light and sweet, or are you a hard hitting black coffee type? Either way, you’ll get a fistful of your favorite beverage with this smashing new mug. Sleek ivory high-fire ceramic contrasts dramatically with the steely metallic handle. Packaged in a full-colour illustrated giftbox. This spicy little guy dispenses salt from the top of his head and he’s got something special in his trousers…pepper! Salt & Pants is finished with a fine matte glaze that passes California’s ultra-strict standards for heavy metals and lead. It’s supplied with two durable silicone stoppers and packed in a colorful protective giftbox. Here’s a chance for junior to play with his food and exercise his creativity at the same time! So bring on the mashed-potatoes and peas...the possibilities are endless! Food Face is mid-size and crafted from hotel-quality, food-safe, high-fire ceramics. It’s individually gift boxed with lots of inspirational (not to mention wacky) food art. Wouldn’t YOU have loved this when you were a kid? Real Men™ don’t use wimpy dime-store pizza cutters. Show that pizza you mean business with our new Pizza Boss 3000. It’ll blast thru pepperoni, extra cheese, and even those pesky anchovies. It’s built from tough engineering-grade plastics and the laser-etched stainless blade has a removable shield for easy clean-up. A great “guy gift.” Packaged in a clear display giftbox. Is your glass half full or half empty? If you’re like most people, you’re never quite sure. But this clever 7-ounce glass reminds you that Half Full is where you’ll always find refreshment. 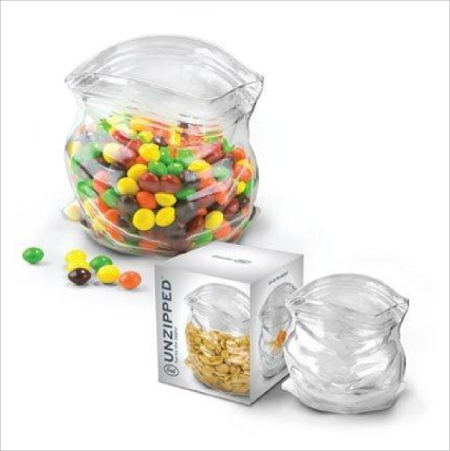 This double-wall borosilicate glass is permanently marked “Half Full” and “Half Empty” and packed in a colourful protective giftbox.